It takes a blink of an eye to realize that technology has outrun us. Can you keep up with the latest technologies? 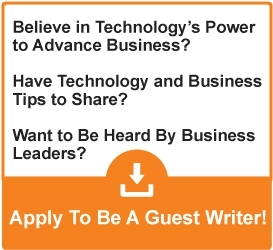 Do you have all the tool and support you need for your business to grow at the same pace as technology? We have them, and you can benefit from them. Technology is all around us and is developing at such a fast pace that we could miss out on a great deal of inventions and innovations if we do not stay constantly updated. 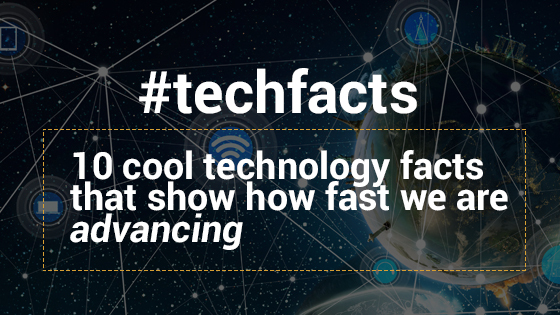 In this blog post we are happy to share some of the coolest #techfacts we know, that highlight the power of technology and how it has developed over the years. Two hundred and twenty million tons of old computers and other technology devices are trashed in the United States each year. RadioShack was one of the first companies to start the personal computer revolution, back in 1970, with its TRS-80. The first ever VCR, which was made in 1956, was the size of a piano! The radio took 38 years to reach a market audience of 50 million. The television took 13 years to reach a market audience of 50 million. The iPod took 3 years to reach a market audience of 50 million. If you were to have your picture taken by the very first camera, you’d need to sit still for 8 hours. Christopher Sholes invented the QWERTY keyboard in 1868. In 1969, the computers that took Apollo 11 to the moon had less processing power than today’s cell phone, Nintendo Game Boy and a modern toaster with stop/start/defrost buttons. In 1984, the number of internet devices reached 1000. In 1992, the number of internet devices reached 1 million. In 2008, the number of internet devices reached 1 billion! The first commercial text message was sent in December 1992. Today, the number of text messages sent and received every day, is more than the total population of the planet. Facebook took 2 years to reach a market audience of 50 million. Contact us to show you how our support can help you grow your business.